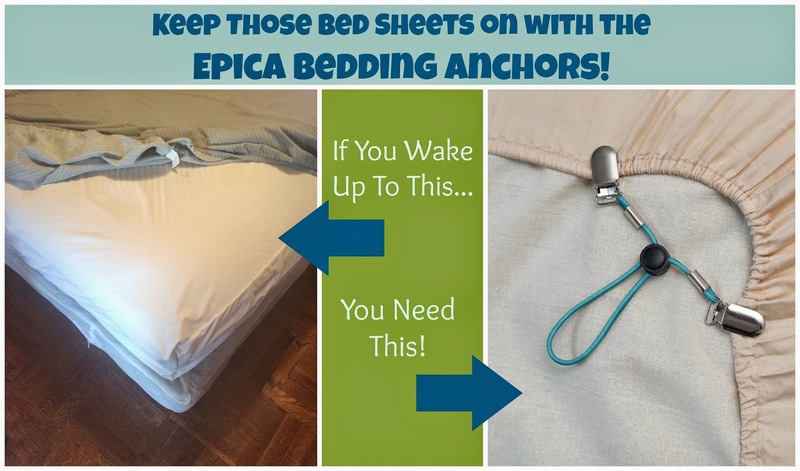 Keep Those Bed Sheets on with the Epica Bedding Anchors! Every morning without fail my husband and I wake up to sheets that have popped off the corners of the bed. It is usually my side and it is annoying. I have tried so many different kinds of sheets from cheap ones, to expensive ones, to deep pocket ones. I don't know if it's the mattress or us moving too much. I finally found some generic bed sheet anchors a couple of months ago and it was a total waste of money. It was cheaply made and the clips just didn't clip on the sheet. After a few uses about 2 of them broke were the stitching on the elastic snapped. When the bed anchors were on it was as if I didn't have anything on at all. Then came the ones from Epica to review. As soon as I saw the design of them I though it was completely genius! First of all the clips easily clip right onto the sheet. Then the clips are clamped onto bungee type elastic instead of the standard apparel elastic that is stitched on. 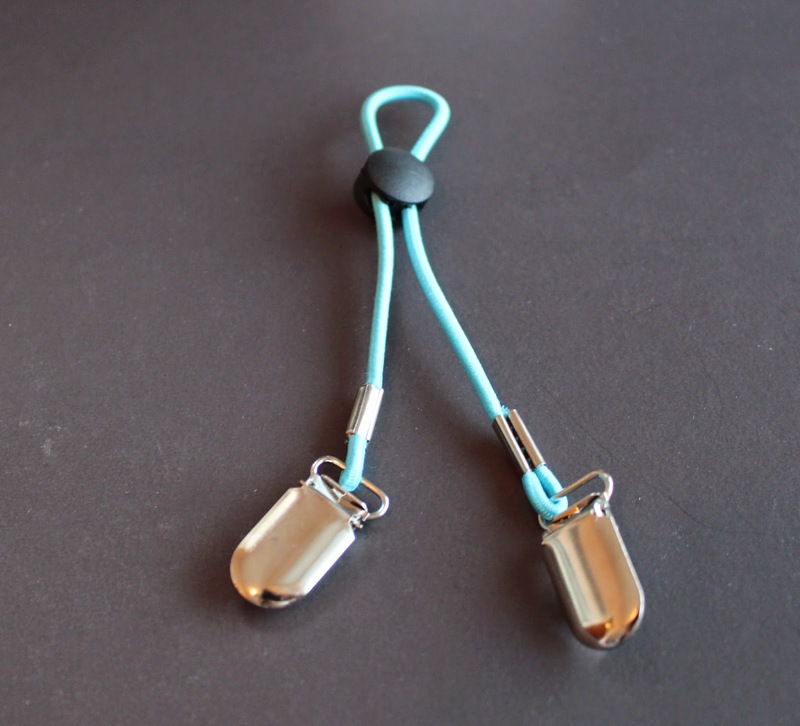 Lastly you can adjust the tightness of the elastic with an easy cord lock that you just press and let go at the desired tension and it automatically locks in place! I love that you don't have to lift the mattress to place on the anchors. All you do it put them on the corners of the sheets and slip them right over the mattress. With a few trials and errors you will know exactly how much tension to lock in place. 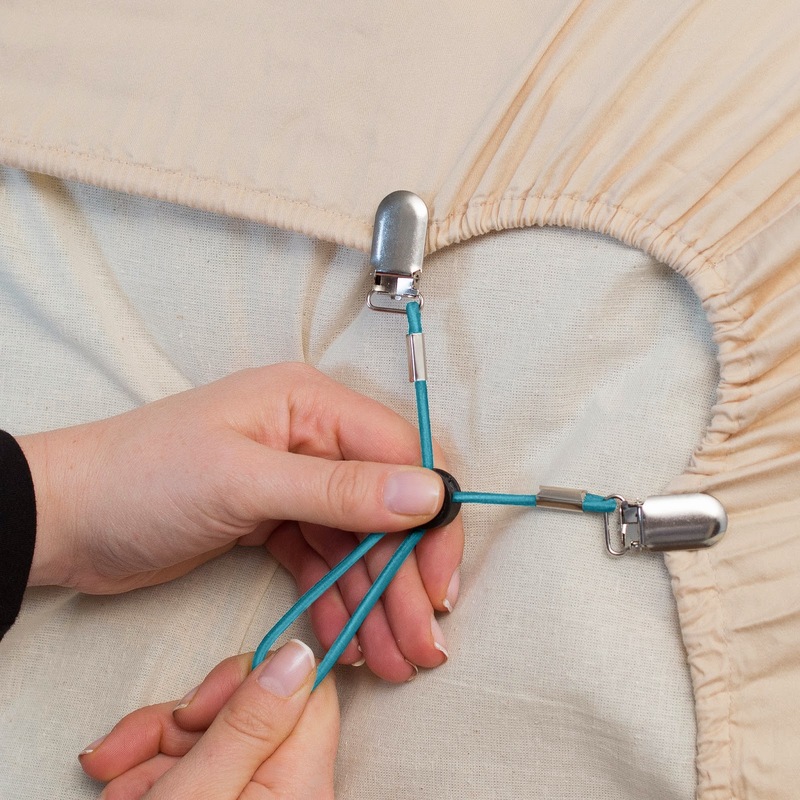 The clamps are nickel-plated and coated with a fabric protector so you don't have to worry about them ruining your sheets. The first night I used them and every night since I have awoken to a perfectly placed on fitted sheet. 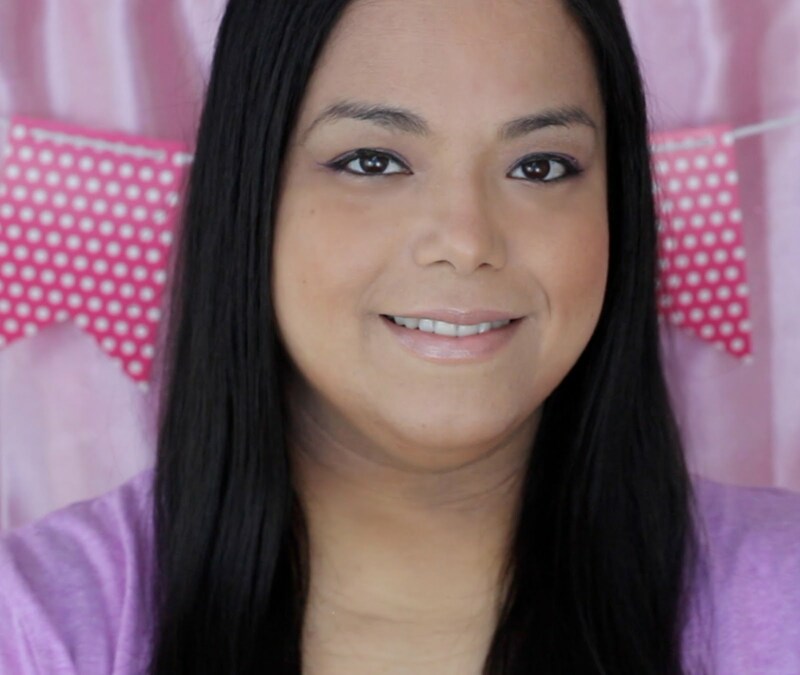 The clips are super strong and held the sheets in place all night! It was so easy to put on and now I don't have to worry about buying new sheets that won't stay on! The unique design also allows you to use them for other things like tablecloths, curtains, furniture covers and more! 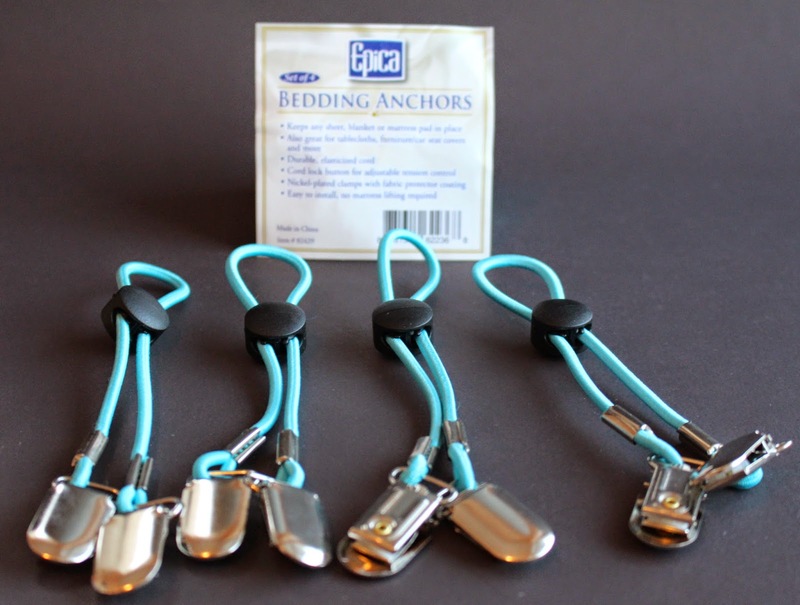 Click on the link to order your own very affordable Epica Bedding Anchors on Amazon. Talk about a problem I didn't know existed until I got married. For some reason they come off, and this looks like a great solution. We need this in our lives LOL. Especially on my husband's side of the bed. His corners are always popping off. I need these for my daughter. She's always tossing and turning, causing her bed to come undone. 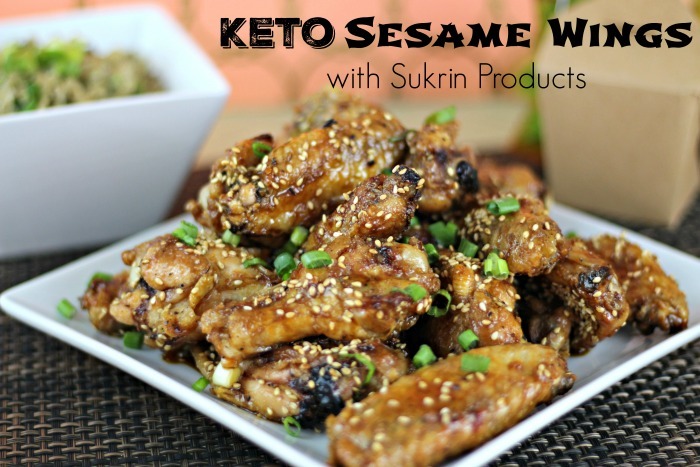 These look like a great option. I don't know if I toss and turn a lot or my cat has something to do with it--but those darn corners are forever popping off on my bed as well!! If these truly work they would be heaven sent! My bed sheets never stay on, ever! Neither do my daughter's. Hers are worse than mine. These would be amazing! I need these for my daughter's bed! Her sheets drive me crazy! Yes! I toss and turn a lot so this would be perfect for our bed! That's one of the most aggravating things and it happens on my bed daily. I need these! Well this is amazing!! I feel like I definitely need this! I need these for my daughter. Her sheets never stay on and she ends up sleeping on the mattress. Since she is allergic to dust mites it is so bad for her. Well! This is great. I never read such a unique post. My son also doesn't stay on the bed. will follow these steps from now. Though the higher thread count bed sheets are expensive, it is worth the investment as they last for a long time and ultimately you cannot compromise on your sleep and health by going for cheaper sheets with lower thread countAnother factor to consider is the weave. silk sheets Fit is another factor that you need to take into account when buying bed sheets.